Following China's dismal CPI and PPI prints this week, and terrible data from core Europe, all eyes are on US consumer prices with the over-arching 'goldilocks' hope that it's not too hot to prompt Powell to re-hawk and not too cold to prompt growth scares. 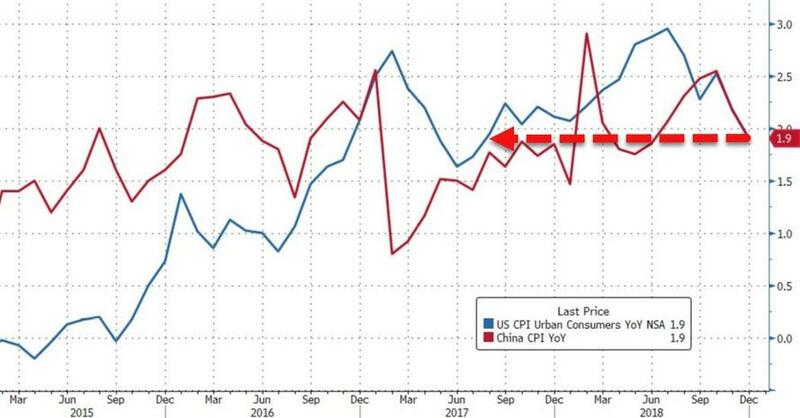 And it seems investors got what they wanted as CPI printed an exactly in line with expectatins +1.9% YoY (still the weakest growth since August 2017), and ironically the same as China's CPI. 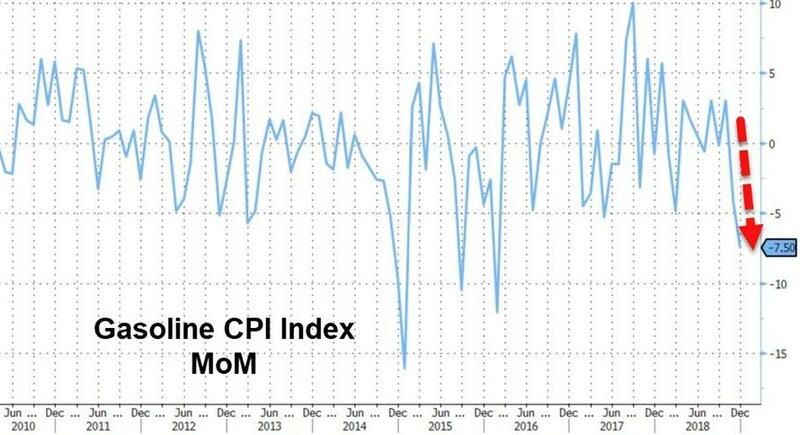 Perhaps most critically headline CPI is now back below the Fed's mandated 2.0% Maginot Line. Under the hood, the index for all items less food and energy increased 0.2 percent in December. 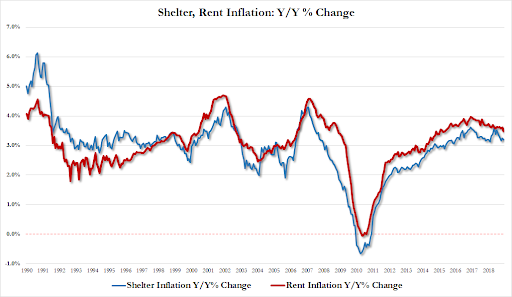 The shelter index increased 0.3 percent in December, the same increase as the prior month. The indexes for rent and owners' equivalent rent both increased 0.2 percent, while the index for lodging away from home rose 2.7 percent. The recreation index rose in December, increasing 0.6 percent. The medical care index rose 0.3 percent in December with its major component indexes mixed. The index for hospital services rose 0.5 percent, the physicians' services index was unchanged, and the index for prescription drugs declined 0.4 percent. 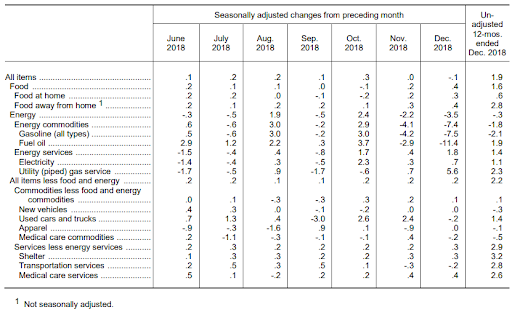 The index for household furnishings and operations rose 0.3 percent in December, and the education index rose 0.2 percent. The index for airline fares fell 1.5 percent in December following a 2.4-percent decline in November. The index for used cars and trucks fell 0.2 percent after rising in October and November. The motor vehicle insurance index fell 0.2 percent, its second consecutive decline. Several indexes were unchanged in December, including those for new vehicles, apparel, and communication. The biggest driver of the slowing in overall CPI is from the energy complex. The energy index fell 3.5 percent in December following a 2.2-percent decline in November. The gasoline index fell 7.5 percent in December after a 4.2-percent decline the prior month.